Fuego y Agua Nicaragua is just around the corner and once again for 2016 Mud Run Guide has teamed up with Fuego y Agua Endurance (FYA) events to be the official media partner for both the Survival Run and Trail Races. Our team at Mud Run Guide will be working directly with Fuego y Agua staff both on the ground and virtually to bring you up to date information before, during and after the races. Our Editor-in-Chief, Margaret Schlachter, will be embedded with the staff working in collaboration with Fuego y Agua. 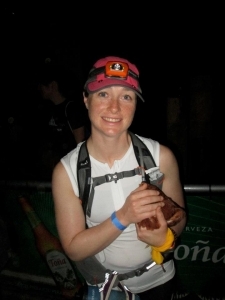 Schlachter is no stranger to the island of Ometepe having competed in Survival Run in 2013 and contributed to the social media in 2014 as well as competed in one of the ultra marathons that year. Last year, Rachelanne Gladden was on the ground in Nicaragua working with Schlachter, who was behind a computer the whole race updating social media from afar. This year she will be back in Nicaragua. As a former Survival Run racer, this was one of the most memorable races in my career. When else do you get to carry a chicken as part of a race! I proudly own my DNF and quickly saw while racing in 2013 that Survival Run is like no other race in the world. Schlachter will be in Nicaragua starting January 30 to document all the pre-race action for the Survival Run, which begins Wednesday, February 3 with packet pickup at 6:45 am Central Standard Time. For a detailed description of the entire week's events check out the official FYA Itinerary. Follow all the action from Nicaragua on Fuego y Agua social media channels and Mud Run Guide's Fuego y Agua Official Coverage page. 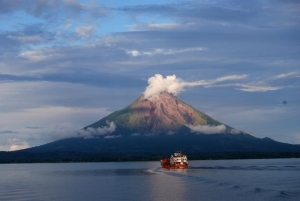 Click the banner above for all of MRG's Fuego y Agua Nicaragua Coverage.